We hope, that Jordan trip met and will meet your wants and needs. From our commitment to our valued customers, Amira Tour would like to share all public's who are planning to visit Jordan, our clients who already experienced Jordan with Amira Tour Company. We always ask our clients impressions regarding hotels in Jordan, transportation, excursions in general and their opinions about the sites that they visit. The main aim from publishing these opinions on our webpage is to indicate customers to the right choices in Jordan for their trip, regarding the accommodation or any other part of the travel arrangements. Please have a look on these responses, and be sure that Amira Tour will be more than happy to assist you for any question of information regarding Jordan. Dear Mohammed! We would like to thank you for the tour, beside that episode with the other driver and car everything was going good! 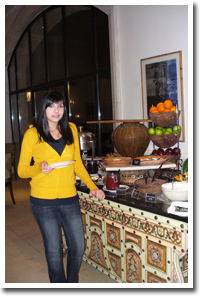 Especially in Marriott Dead Sea Hotel we were very happy and we appreciated a lot your beautiful country!! Hassan was very nice and gentle, a very good driver who made us feeling safe!! Good luck for everything! This e-mail is just to thank you again for the good work that you and your company have done. The trip was a success everybody was very happy with your services, Kamal was very friendly and helpful during the whole trip, also the driver made a good work. We are going to advise our friends who want to go to Jordan to book with you, also we`ll tell the same thing in internet. If sometimes I`ll back to Jordan no doubt I`ll get in touch with you. Level of Hotels was Excellent. Although vegetarian food (Indian) except Intercontinental Amman was not on menu, they prepared for us. The best Hotel was Kempinski Aqaba. Driver & Guide was excellent and his service was very good. All sightseeing, Local Guide were good, you representative at the Airport for visa help was also very good & courteous. I would have liked to meet your manager for meet time. A special word for the kind cared Driver Mr. Sayed. He is a wonderful human being, well said and cultured. He never let us feels bored during our journey and cased particularly for our various interests in local food people and life. Jordan is not only historically great but also contemporarily beautiful with warm and lovely people whom we can close our eyes and trust. The food has been excellent – the desserts especially. Thank you! Thank you very much for this good stay! Jordan – is a wonderful country. Despite a certain conservatism of the views and the specifics of the religious foundations, the local people were much esteemed to the tourists. Comparing with Greece, we can say that the hotels were fully matching their rate (stars). 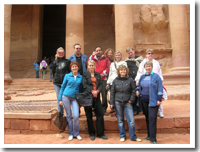 The only thing that concerns is the unpopularity of the “all inclusive” system, despite that, the hotel staff helpful and friendly, also in our memories remained the tour to Petra, organized by «Amira Tour». 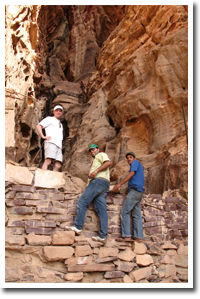 Petra is a magical place, with rich and breathtaking panoramas, with some aspects of knowledge too. To me, as a person related to the tourism, it was extremely interesting. I send my greetings to our guide Issam! A full-day trip to the desert of Wadi Rum achieved our hopes-it is a wonderful place, colorful apartments-Bedouin tents, and, well, a very spicy food -everything was unforgettable! Success and good luck to you! 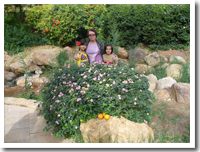 We liked very much our stay in the sunny country of Jordan. The first good impressions were in the airport, where we met the represented of the company "Amira Tour". The level of service is the highest! Thanks a lot of to your company, other countries did not welcomed us in the way that you did. We left only with positive emotions, thank you! The rank of the hotels were good, the quality of the service excellent, the food was tasty. Excursions full of information and knowledge, and were compiled correctly, informative and very interesting. Excellent guide – Elena ! Meeting and transfers at the highest level. Unfortunately, we did not previously know, that you can spend a night in the desert and visit the thermal springs of Ma’in. All the organizers of our trip thank you very much! 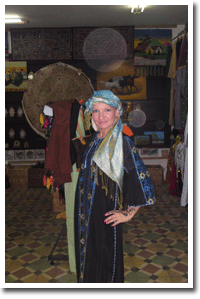 The excursion program "Classical Jordan"
We liked very much the Kempinski Hotel on the Red sea. Traveled around the country by our own (we rented car). We liked The Service of the company "Amira Tour" very much. They paid attention to all our requirements (called us at the hotel room), offered their services and advice. That was good the transfers were organized on time. To the airport we drove with a wonderful, caring and interesting driver. Very much enjoyed it, thank you! Dear Mr. Mohammed! As we already told you on the phone we wish to point out that the tour you organized for us this summer was really awesome and we enjoyed it: the hotels were quite good, the drivers and the guides - both in Lebanon and in Jordan - were friendly, helpful and very competent. Finally we have do add that your country as well as Lebanon are wonderful. We thank you again and hope to be able to come back to Jordan in the next future. We very much enjoyed your country and the excursions. There are comments on the speed of service in the hotel. Had to wait very long for the ordered drinks. Manager of the company is very helpful and it was great to ride with him to the sights of the country. Thank You! We wish you good health, success and prosperity of the company. We liked Hotel Movenpick Tala Bay. The Food was delicious, especially the sweets. we liked The friendliness of the staff that would offer help at any time. A beautiful area, good pools, convenient for the kids. The room was normal. Hotel Movenpick Dead Sea – is unusual, and the rooms correspond to the Arabic style. A lot of greenery at the territory of the hotel. Comparing with the previous-hotel this one is noisy. Well-thought-out the pool with sand, the children liked it very much. The work of the company "Amira Tour" equals the rate 5+. With them you won’t be lost! Thank you and special thanks to Svetlana. Really liked the hotel, and the quality of service in all aspects (cleaning, restaurant, beach) this deserves an "excellent "grade. Employees of the tour operator "Amira tour" also left a very positive impression. Thank You for the interesting and fascinating stay in your country. Hotel Movenpick is very nice, the quality of the service is high, and we liked how they welcomed us, also we enjoyed the excursions around the country. I am very sorry about the limited period of our stay, I would like to see more and learn. Thank you for these wonderful days! This was my first visit to Jordan. And the first impression was very good. We were amazed when we saw the beautiful city of Amman. Hotel Kempinski, in which we stayed, is wonderful, also the wonderful and friendly staff, the food was delicious. The guide who was provided to us by Amira Tour- was one of the best guides we met during all our travels. Thank you for a wonderful stay! Finally I have the time and the energy to tell you something about the trip! Even if the time was short, we really loved every part of it. Our guide in Syria was spectacular; it was so nice to talk with him about everything, not only Damascus. A great human experience. Our drivers where all very nice, but our favorite of course was Hassan, also because we spent more time with him and he was the one they made Petra by night possible. I was only a little bit surprised that everyone seemed to have a different idea about the time to arrive in Petra from Damascus. But anyway, at the end everything was fine, we are so happy, I only regret that I couldn't meet you. For us this journey was a dream comes true after years, and an interesting confrontation with different cultures and mentalities. I wish you all the best. Satisfied with the organization and content of the tour. Thanks to all of you! So go on and on. After six months we are planning the visit of our children to Jordan. We were very pleased with the country and the people we met. We stayed at the Kempinski Hotel in the Dead Sea. The territory and the design of the hotel correspond to the highest requirements. The same can be said about the level of nutrition, cleanliness and service. Very friendly staff, varied cuisine and a relaxing atmosphere. Pleased by the attention of the company "Amira Tour". I would like to mention Svetlana, which with great attention watched our stay. Good re presenter of the company, they are fluent in Russian language. Thank you all very much! From all heart would like to thank your company for perfect organization of our trip in Jordan and especially of our guide Еlena. All was excellent, our dream to visit your country has come true, now in some years would like to visit Jordan with our children. We wish you all the best, successes and more Russian tourists. Dear Hashem! 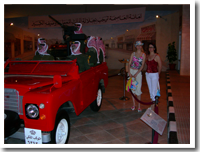 I am pleased with the services offered by Amira Tour. I would like to compliment your driver, Mr. Amer for his good hospitality, helpful service and friendliness. 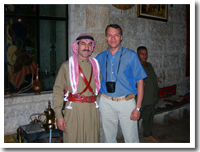 He was very friendly and professional throughout these days, and made our honeymoon in Jordan very enjoyable. I would also like to thank you for your assistance in making the various arrangements, and calling me to check if everything is ok. Wishing you a good day and wishing Amira Tour all the best. The hotel in Amman (Imperial Palace 4*)- excellent, Kempinski Red Sea- hotel excellent, but sea was not pleasant, the port is close located. Hotel Kempinski Dead Sea -super, meal for supper - expensive. An excellent level of service in both hotels Kempinski. Very pleasantly has impressed service and attitude of the accepting company "Amira Tour", attention and care of the tourists, since meeting at the airport and up to the end of trip. Unforgettable impressions from trip in Petra. 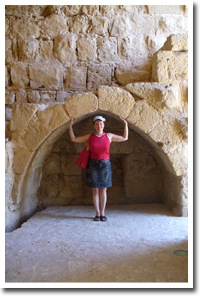 In Syria the attention of the guide, driver, local inhabitants and workers of hotels impresses. All are ready always to help. A Unique hotel in Damascus called (Dar Al Yasmin) in old city. The program of trip was made perfectly. Huge thanks! The country and the hospitable Jordanian people had really impressed me. Certainly sights of the country, which to all tourists should be seen is a Dead sea and hot sources, and to test on itself curative effect of mud of the Dead sea. Have visited of Amman, which surprised us with the cleanliness and calmness. In many respects are grateful to ours assistant from the company - Kais, for set of the information, which has helped us to open our eyes on new issues of the country and to be convinced in his friendship. Hotel very good, large and clean territory. A meal good, but would be desirable to have more European meal. Excursions remarkable, the excellent service of the accepting company, accompanied at all excursions excellent guide, told about country with passion, it was pleasant. Thank you very much. I hope, we will see you again. Dear Svetlana! Thanks for the help in organizing this trip for our leisure! You have advised us after understanding what we need: the hotel in perfect site - in an ecologically clean zone. This perfect combination price - quality!!! And we are ready with pleasure to part with a part of our budget for the boon and prosperity of this country - Jordan. Successes and prosperity to your business! Many thanks for this excellent organized tour. Jordan had shocked us by its beauty, culture and history. We thank the employees of the accepting company "Amira tour" for high professionalism and kindness. We liked thermal sources and desert Wadi Rum. There were no class deluxe accommodations in desert. 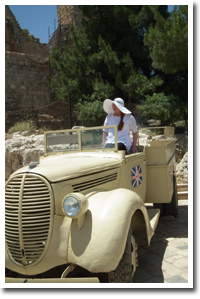 Our wonderful travel to Jordan was held! I want to express you the appreciation for organizing this trip. 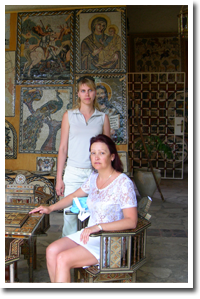 I and my clients have returned to Ukraine with the brightest impressions. To me, as associated with the group, it was very easy, because all of you have organized perfectly. You present professionals of the business! The large thank from me and from the group to the guide Fedor! Because of him we have learned a history and traditions of the Jordanian people. His Ukrainian "roots" has strengthened mutual understanding between group and guide. Undoubtedly, the tour in Jordan with such guide was pleasure for us and, very much I hope, for him also! Working with such partners, as "Amira tour". I have understood that there are colleagues, which just put all soul in favorite work!!! Yours faithfully and hope for cooperation. Thanks indeed! It was very pleasant; I was surprised from the high level of service in hotel, the trip was pleasant and having special atmosphere both in hotel, and outside hotel. The people are incredibly sympathetic, smiling. But it will be better if there is a national kitchen in the hotel. 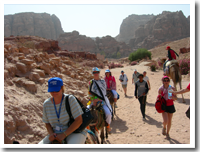 When we decide travelling to Jordan, we could not assume that this travel will be such fascinating. For 10 days in Jordan we had visited many charming places. With “Amira Tour”, our travel was very comfortable. At visiting the Holy Land, Dead sea and historical sites, we have received a lot of interesting information from Russian speaking guides, which accompanied with us. In end of our travel we enjoyed the sun in December and warm Red sea. The level of hotels and service of the company completely satisfied us! We leave the country with tears on eyes, but we will return!!! Kempinski Ishtar hotel in Dead Sea is really smart, imperial, with huge green territory (the idea of greatness of Ancient Babylon is 100 % great). We already had been in this hotel twice, which is a sufficient proof for our opinion in this hotel. 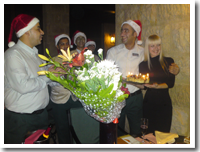 The personnel in hotel very affable, smiling and they are always ready to help you. Rooms in the main building huge with wide terrace expanding for the, sofa, the table and chairs and still remains a place for dances... All rooms are sea view. 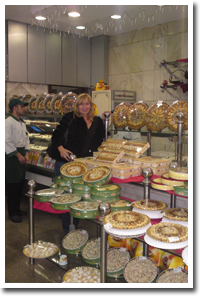 Food and beverage is excellent in this hotel with a wide variety. Perfect SPA for requiring tourists - pools (including with salty water), sauna (Finnish and pair), skilful foremen … Services are expensive, but for quality it is necessary to pay. Also wide beach and I like the idea that beach seats are quiet far away for more relaxing, and it’s very comfortable. No problems with fresh mud in the beach. In general, we shall return yet once. Very much we like the Dead Sea and Jordan!!! We liked this trip! The people are just great. To our guide who is very talented and with love tells about the country, thank you very much. And we very much loved Jordan, all was wonderful. Thank you for the superior services we had while travelling to your magnificent country. Our guide Elena was great, thanks for her skilful in all excursions, for her kindness, friendliness and responsiveness. Also we like to thank both drivers Ziyad and Mahmud for their driving skills and respect you show to the passengers. I have really positive opinion about that travel Jordan–Syria tour. Mainly, Jordan guide and driver were both wonderful with us. The sole remark I can imagine is about days spent in Damascus because we saw the city too fast. 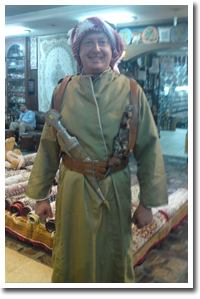 Nevertheless, the guide is good and told us a lot of things about Arabian culture. Thanks again for all! Hi, Svetlana! Trukhanov family writes to you. We visited both Red and Dead seas. 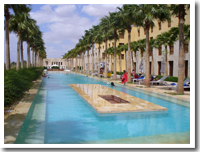 We stay in Radisson in Aqaba 5* hotel and Kempinski Ishtar hotel in Dead Sea 5* luxury hotel. We are totally pleased from the both accommodations. Also we like to complement the guide Samir and the driver Osama, many thanks for you both. Finally I like to thank all Amira Tour team for organizing such a trip. Hi, Svetlana! 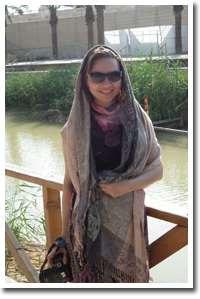 Filatov family from Kazakhstan writes to you, our holidays in Jordan was in Dead Sea Spa hotel, 4 stars. We like to thank you for this unforgettable trip. The tour was highly organized, all was faultless and we remain pleased all the duration. 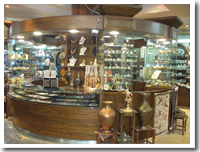 We will recommend your company to our friends, who are planning to visit Jordan for a vacation. We also like to say big hi to our friend Imad, and to ask him to write to us on the electronic address. We hope that our friendship will last even the long distance between us. Once again large thank to you for all!